Antonis, a Greek registered bulk carrier, was being manoeuvred stern-first from the port of Liverpool’s Langton Dock to Alexandra Dock with a pilot on board. As she entered the passageway between the docks, her stern started to drift towards the eastern wall under the influence of a north-westerly wind. The pilot was unable to counter the drift, and the vessel’s hull, in way of a topside fuel oil tank, made contact with the sharp edge of a counterweight fitted on the open swing bridge. 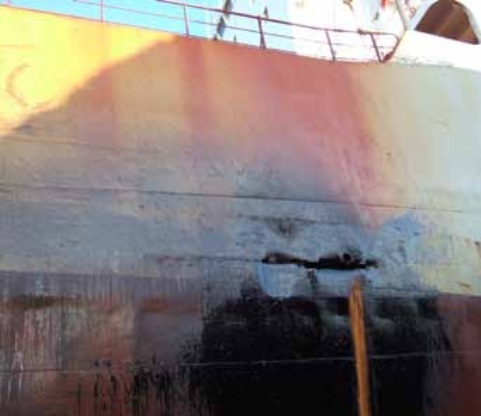 This caused a 1.5 metre gash in the vessel’s side that resulted in about 330 tonnes of fuel oil spilling into the dock system. The counterweight had been fitted when the swing bridge had been lengthened. The investigation found that, prior to the accident, the port authority, Mersey Docks and Harbour Company Ltd, had not identified that the counterweight on the refurbished bridge was a potential hazard to marine operations, and that no formal risk assessment had been conducted since the bridge had been refurbished. Although the pilot used the vessel’s rudder and ordered the third tug to push, he was unable to regain control of the vessel and counter the stern’s drift towards the eastern wall. Prior to the accident, the port authority had not identified that the counterweight on the refurbished bridge posed a hazard to vessels using the passageway. The pilots preferred to keep vessels to the eastern side of the passageway as the western wall was built of concrete and was poorly fendered, but the potential hazard posed by the bridge’s counterweight had not been recognised. Entering the lock system stern-first, although demanding, was standard practice for the state of tide; the prevailing conditions were within the pilot’s normal operational parameters; and the manoeuvre was agreed between the pilot and master in accordance with the port’s directions and guidance. However, Antonis would have been easier to control had she entered the passageway bow-first, though this would have required her entry into the lock to be delayed until the flood tide was running. The port authority’s generic risk assessment for dock operations identified hazards only when bridges were in a closed position. Poor fendering and lighting, and lack of protection for the exposed bridge end had been highlighted previously in meetings between the port authority and pilotage services company. No formal risk assessment had been conducted since the bridge had been refurbished. Increase the fendering on the western wall. Install low level indicator lights to assist in locating the waterline within the passageway. Discuss with the tug companies possible improvements to the fendering on the south side of the eastern wall. Improve the fendering in the passageway and protection to the bridge end. Discuss with the pilotage services company how the use of the third tug can be optimised to enhance pilots’ control of the manoeuvre through the passageway. 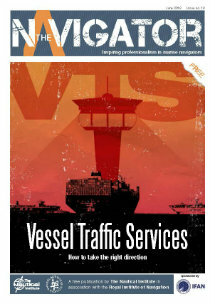 Complete a formal risk assessment for vessels transiting the dock system.